The multi-million transfer fee has considerable ramifications for both Paris Saint-Germain and the player. Sponsorship, licensing and sports marketing experts analyse the world-record football transaction. Shirt sales, image rights, merchandise opportunities – will PSG's purchase of Barcelona's footballing genius Neymar lead to a revenue boost offsetting the £198m payment and enable the French league club to compete with sporting giants like Real Madrid? And what partnership opportunities await PSG following such an extraordinary investment? Licensing Industry Merchandisers’ Association managing director Kelvyn Gardner said all revenue streams would have been analysed with historic image rights revenues also estimated. "When a major club invests this sort of money, plus wages, in a player you can bet they’ve considered all the revenue streams and business-building opportunities. For instance, with a high-profile star like Neymar, image rights are invariably licensed to the club as part of the deal securing the player. This means the club has many opportunities to earn revenue from the use of the image—these include advertising and endorsements using the team and groups of players, sponsor packages and media outlets. Pace the current challenges to Cristiano Ronaldo on this front, it’s a big deal. "While it’s difficult to predict the exact revenue figures for Neymar’s image rights, retail sales of licensed sports merchandising amounted to over $24bn (£18.3bn) worldwide last year. 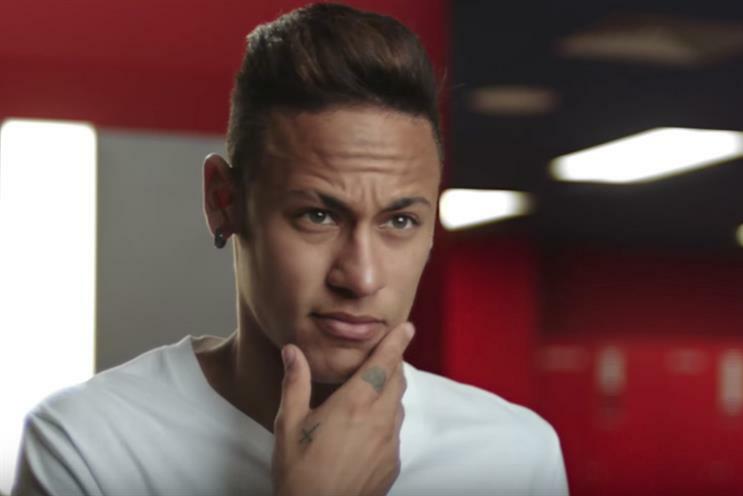 With football being the world’s most popular sport and Neymar one of its biggest – and now most expensive – stars, it is obvious that his brand will generate a fair amount of money." "In the wider battle to develop the PSG brand internationally, and to boost overall sales of merchandise featuring the club and their players, there is a tendency for football fans in countries such as China, Taiwan and Thailand to be somewhat fickle – they switch allegiance from one club to another depending, mainly, on a team’s success on the field. This is radically different from the attitude of a UK or European football fan who sticks by his or her team with almost religious devotion. Being seen to be buying the best talent is one way to counter a lack of success that could lose the interest and involvement of fans overseas (domestically it works, too, of course). "Spending a huge amount of money on a globally recognised star shows an intent to succeed and establish market power. Buying a PSG replica shirt may not have been top of mind among Asian football fans, but with the chance now to add Neymar’s name in the traditional spot on the shirt back, you have a whole new ball-game, so to speak. Short-term, big boost in merchandise sold and long-term, the club’s profile rises; good for general commerce but also in enabling them to attract the ‘next Neymar’ over the world’s other big soccer clubs and brands. Maybe not quite an open goal for the club’s commercial department, but definitely a pass into space for their star business staff. Don’t expect the Neymar story to be the last of its kind." The move enables PSG to compete commercially and to bolster its international kudos, MediaCom's vice-president of sport and entertainment Misha Sher said. "As it stands, there’s a huge amount of competition in the marketplace already, with many clubs competing for a small pool of five-star, world-class players. "With a lot more channels and platforms on which to view content and watch sports – but a lot less time to do it these days – it’s never been more important for sports club to have a unique selling point to attract advertisers and sponsors. It’s unclear at this stage whether PSG will recoup the £450m including fees, wages and cuts for agents over the course of Neymar’s contract and beyond, but what it offers the club is something totally unique and a chance to compete commercially and reputationally with the likes of Real Madrid, Manchester United and, ironically, Barcelona." Sher also believes that Neymar's move to an arguably lesser league makes the deal all the more intriguing in terms of the potential commercial and cultural winners. "Neymar’s move to Paris Saint-Germain transcends a business transaction; there’s a political, cultural and commercial aspect of this deal like we’ve never quite seen before. For one of the most iconic players in the world to move to a – some say – lesser league, Neymar’s transfer represents somewhat of a coup. "The football broadcast rights will almost certainly increase as demand rockets to watch a genuine sports superstar join the French league. With the Qatari-backed PSG and the World Cup just around the corner, Qatar is also being seen as a big winner here, leveraging the transfer to raise its value and appeal." Gillette, Nike and Qatar Airways are just a few of the brands to have featured the Brazilian's soccer skills in their advertising, and following the young player's mercurial rise on the global stage, he remains highly marketable. Cake's head of analytics Dr Anna Semens said "Neymar is one of the most marketable athletes in the world and currently generates around 60% of his income from endorsements alone, so aside from his playing quality, PSG will benefit from his image and marketability." "At just 25, he has the potential to be both the cornerstone of the team and also someone around whom to further develop the PSG brand. The club want to be a European superpower, but at the moment lag behind many of their European competitors in the commercial stakes. Signing Neymar should both increase the value sponsors are willing to pay to be associated with the club and if his signing also brings success on the pitch, the PSG brand will become even more lucrative for brands to partner with. "While the main aim of signing a new player for a club is to improve the playing quality of the team, the commercial value of a marquee signing has become ever more important. With a social media footprint of over 160 million, Neymar will certainly bring a lot of attention to the club. While his transfer fee won't be offset by merchandise and shirt sales, which tend to benefit the kit suppliers more than the club, the lift he will bring to the status of the club will certainly make them a more attractive proposition to other players, fans and brands."